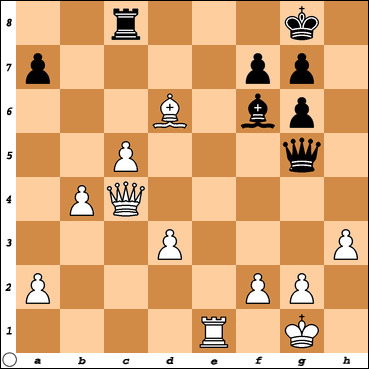 In this blitz game White is 3 pawns ahead in material. Forcing the exchange of queens would accelerate White's winning chances. How does White achieve this ?